Rael Al Kontar is an Assistant Professor in the department of Industrial & Operations Engineering. 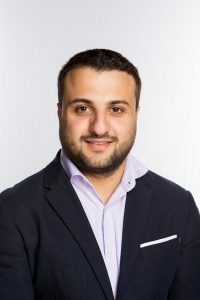 His research broadly focuses on developing data analytics and decision-making methodologies specifically tailored for Internet of Things (IoT) enabled smart and connected products/systems. He envisions that most (if not all) engineering systems will eventually become connected systems in the future. Therefore, his key focus is on developing next-generation data analytics, machine learning, individualized informatics and graphical and network modeling tools to truly realize the competitive advantages that are promised by smart and connected products/systems.